Cypress Creek is an enclave of 227 single family homes centrally located in TPC Sawgrass Community off of TPC Blvd. On the North end of the community is Players Park, the main park area for Sawgrass Players Club, showcasing a playground and pavilion, sand Volleyball court, Soccer field, Baseball Field and a full size Basketball Court. Every Halloween, residents from other neighborhoods seem to flock to Cypress Creek, as it is the undisputed Trick or Treat capital of all of Sawgrass. Over 60% of the homes in Cypress Creek are backing water, with a handful of homes backing up to Ponte Vedra Golf and Country Club golf course. 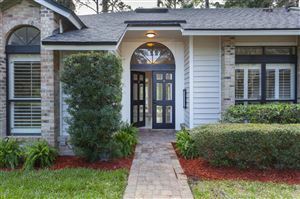 Homes in Cypress Creek in Sawgrass typically sell in the $400’s-$500’s. Go here to view the covenants and restrictions for Cypress Creek.